Our premium bike is full 3K carbon-fiber from fork to stays, 100% hand-built in Italy and equipped with Campagnolo’s Potenza 11 speed groupset plus URSUS Athon wheels. Rental packages start at just $199 with a full week just $300. Our standard aluminum bike offers most of the performance of the premium bike and its carbon fork and rear stays make for a great ride. 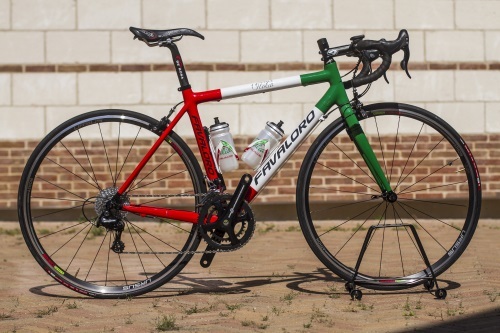 Equipped with Campagnolo’s Veloce 10-speed groupset and Khamsin wheels. Rental packages start at just $99 with a full week just $200. 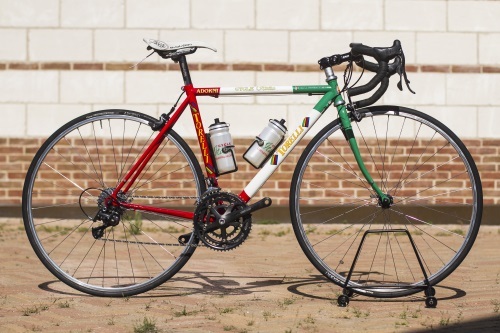 Our classic bike is all steel with the unmatched ride only steel can provide. 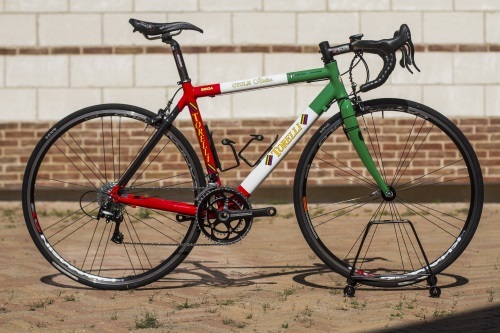 Equipped with Campagnolo’s Mirage 9-speed (triple) groupset and hand-built Torelli wheels. Availability is limited to popular sizes on a first-come, first-served basis. Bicycles are NOT available for use except in conjunction with CycleItalia bicycle vacations and the rental period is limited to the duration of your time at the resort. You MUST supply your own pedals as well as helmet and other cycling clothing. For the best comfort and fit we suggest you bring your favorite saddle as well, we’re happy to install it during the fitting/adjustment session. Rental bicycles are equipped with bottles & cages, repair kits, mini-pump and cycling computer.